Free to attend. Please RSVP to let us know you'll be joining us! We are excited to welcome back Fowler School of Law alumnus Timothy Sandefur (2002)! Please join us at a unique pre-release event where Mr. Sandefur will speak about his upcoming book, The Permission Society: How the Ruling Class Turns Our Freedoms into Privileges and What We Can Do About It, where he examines the history of the distinction between rights and privileges. After fifteen years with the Pacific Legal Foundation, Mr. Sandefur recently moved to the Goldwater Institute as Vice-President of Litigation. He continues to work as an adjunct scholar for the Cato Institute, and is a frequent guest speaker, interviewee, and author. 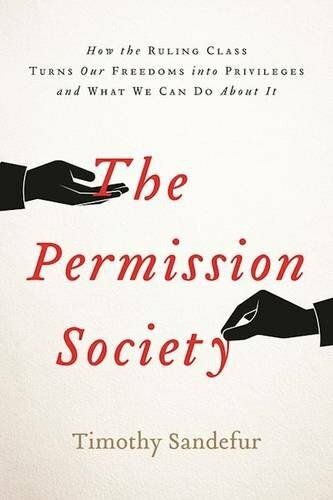 The Permission Society is his fourth book, and is due out this September. Early copies will be available for purchase at the event. You can contact the event organizer, Heather Joy at joy@chapman.edu or (714) 628-2539.